Ahhh, holidays. That time of the year when you want to steel yourself against the new releases but you're powerless because they're gorgeous. 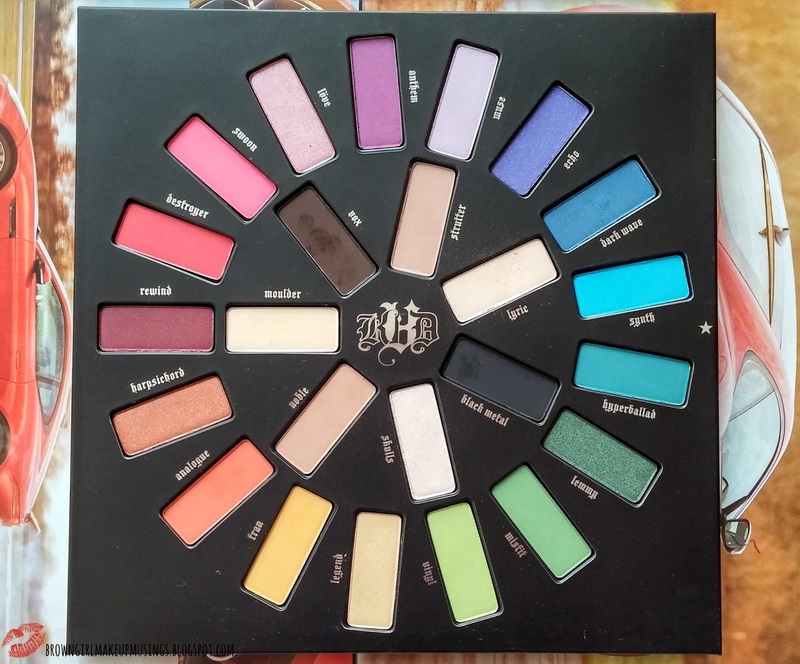 When I first saw this palette, the packaging captivated me (why lie, I bought this pretty much for the color-wheel style packaging!) and I knew I had to have it. So when it came out, I placed the order - instantly, really. Unfortunately I wasn't able to test it out for sometime, but after spending the past week or so testing this out I'm finally ready to share my thoughts! As soon as you get the palette, there's an issue. It's big. It's much bigger than my hand, and my forst thought was "how am I going to hold this up while using it?". 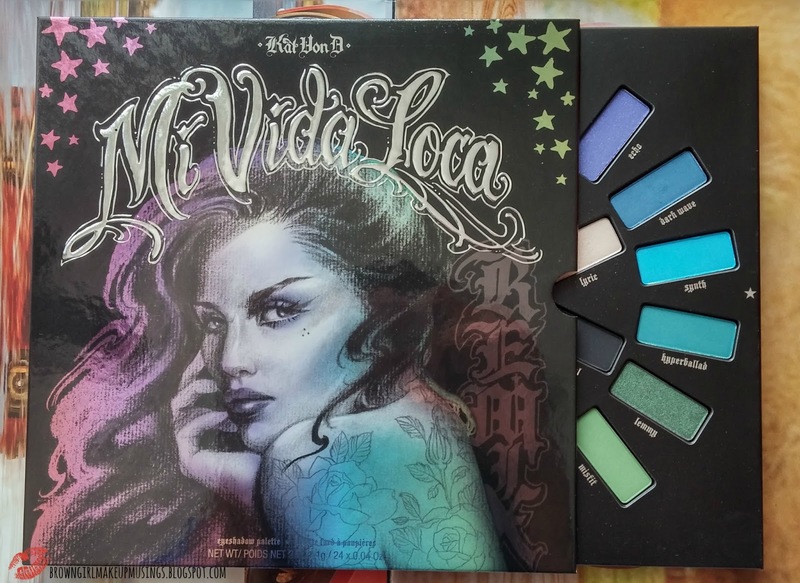 Furthermore, while the packaging is very pretty, it doesn't open up (flip up) like a normal palette does; rather, you have to slide it into and out of the sleeve. This is annoying, and means that you don't get a mirror included. This means that it may not be the best palette for travelling with. The packaging is made of sturdy cardboard, as is the outer sleeve, but I can't help thinking that it is bulky. And while the arrangement of the shadows is eye-catching and appealing, if they had arranged it in rows like a traditional palette, it would have made the entire palette more compact. Despite all my cribbing, you can't deny that the shadows look great! There is an outer ring of the colored shadows and an inner ring of more neutral shades. 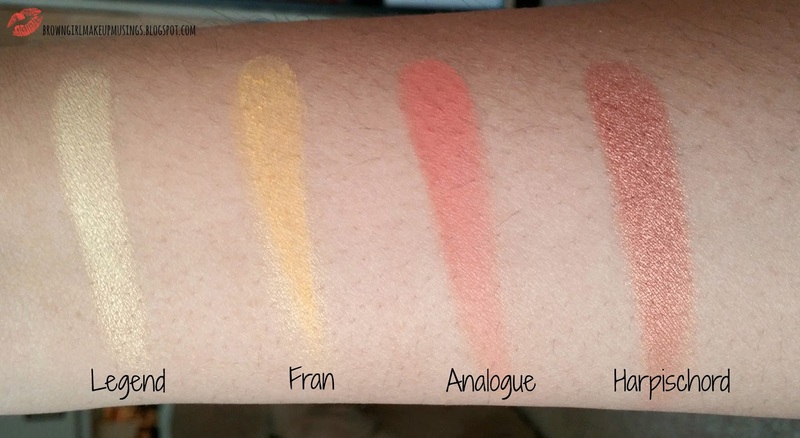 I have to admit, the inclusion of the neutral shadows is brilliant because it means that the palette is truly all-inclusive, and you can get a wide range of looks out of it. Starting with the neutral shades, there are seven of them. Skulls is a shimmery white shade. Noble is a warm toned matte light tan shade. It makes the perfect base shadow shade for me. Mother is a matte pale yellow shade. Vox is a matte neutral deep brown shade. This doubles up as a good brow shade for me. Strutter is a matte cool toned light taupe. Lyric is a shimmery cream shade. Black Metal is a true matte black. 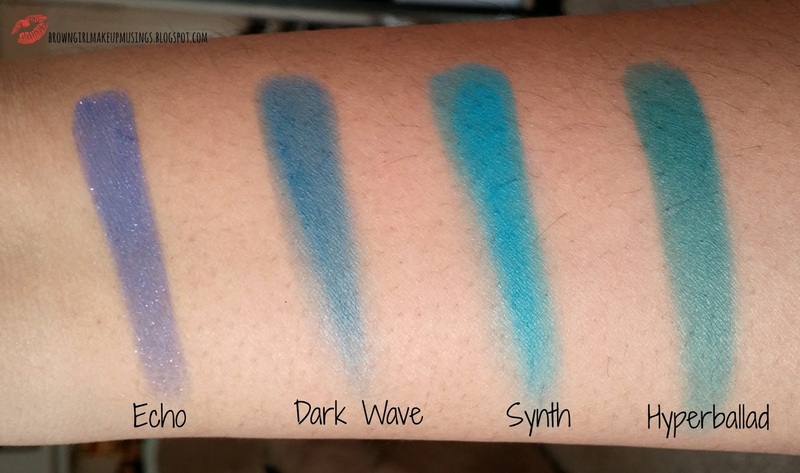 This was a little less pigmented than the other shades, and despite it appearing patchy in the swatch, did reasonably well on the eyes. Legend is a shimmery pale buttercup yellow. Fran is a matte lemon yellow shade. Analogue is a matte rusty-tangerine shade. It makes a great crease shade for those with warmer skintones. 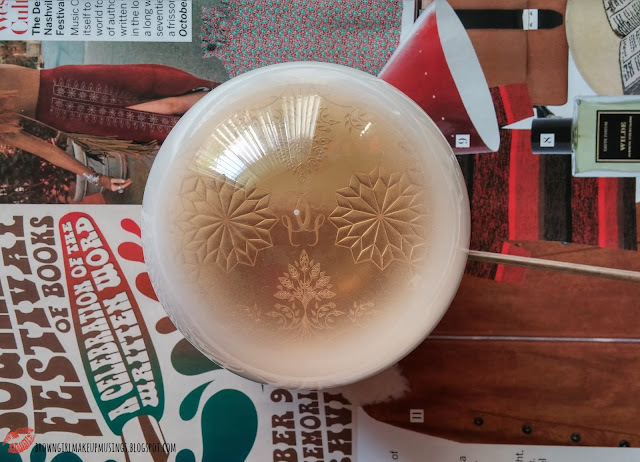 Harpischord is a shimmery copper shade. It was one of the shadows with the best pigmentation in the palette. Rewind is a shimmery warm-toned burgundy with plum undertones. This had excellent pigmentation. Destroyer is a matte warm toned deep coral pink. Swoon is a matte cool toned fuchsia pink. Love is a shimmery light baby pink, with an almost purple undertone to it. Anthem is a matte grape purple. This was very powdery (be careful when dipping your brush into it) and also one of the patchier shadows in the palette. Muse was a matte cool-toned light lavender. I thought this felt a tad on the chalky side. Echo is a matte deep blue-purple with silver glitter. The glitter tends to be lost easily during blending. This was also one of the more powdery shadows. Dark Wave is matte deepened cobalt-navy blue. It was also one of the powdery shadows. Synth is a matte, bright turquoise blue. This had excellent pigmentation. Hyperballad is a matte teal. This had good pigmentation, but was on the powdery side. Lemmy is a shimmery, deep forest green. I can detect a dark brown base to it? Nevertheless it has excellent pigmentation and is one of the nicest shades in the palette. 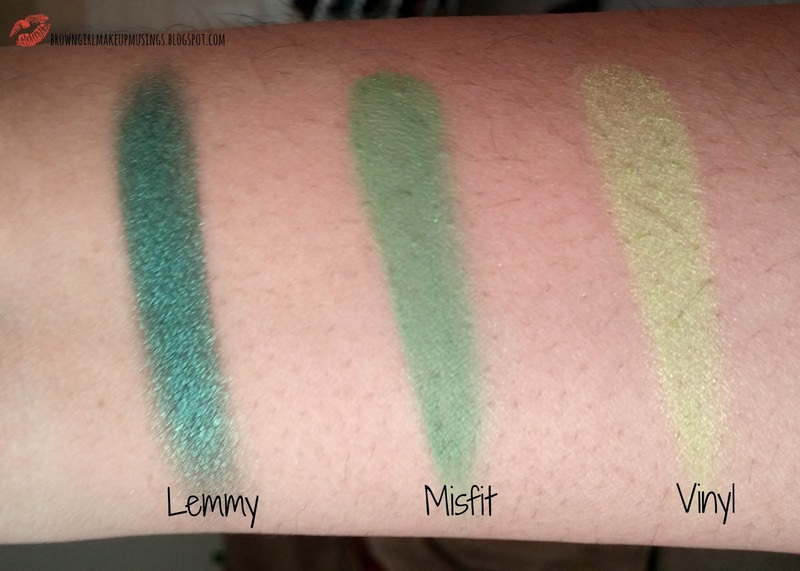 Misfit is a matte warm-toned grass green. It had good payoff, but the powdery texture made it appear sheer. Vinyl is a matte warm-toned chartreuse green. This was the worst performer of the palette, being both powdery and lacking in pigmentation. Moving on to the quality of the shadows - most of them are soft, smooth and pigmented. They all blend out easily, but I'd recommend using a white base under the lighter colors to really make them prominent. (Especially if you have deeper skins; I found that while the lighter shades do show up, they look quite muted). The powdery shades do perform much better over a primer, and, as I mentioned before, the lighter shades greatly benefit from using a white base beneath them (the white base also helps the shadows to stick better). I find that all of these last a good eight hours on me with primer, with minimal fading. The only exceptions were Muse, Fran and Vinyl, which I found faded around the seven hour mark. I'm not sure if it's because of how light they are? I had no issues blending these shadows out - I was really surprised at how little effort I had to put in to get these blended out. The inclusion of the neutral shades makes it easy to use the other, more colorful shades, and I like the fact that there are so many mattes in this palette! I've always like the KVD mattes, and these are - for the most part - no exception. If you've liked any of the KVD palettes in the permanent line, you'll really like this palette. The shades are varied and interesting, and there are a lot of transition shades so creating color gradients is really quite simple! The biggest drawback in the palette, in my view, is the lack of a good medium brown shade for the crease (for brown skintones, at least). Noble and Strutter are great as lid shades, and Lyric and Skulls are great as brown bone and inner corner highlights (as is Mother - which also doubles up as a good powder to set concealer with, or even for a matte face highlight!). Vox is too dark to be used in the crease as a transition, as is Black Metal. If they'd included a shade or two of the medium browns, this would have been a perfect palette! Here are a couple of looks I've done with this palette (I've been using it quite often but the weather's been so gloomy here lately I wasn't able to take more pictures, sadly). If you like this palette, and will use the colors, then yes, I'd say this is a palette worth getting. But if you're looking for a neutral, everyday palette, this might not be for you. That being said, the shadows here are well-pigmented, of good quality (if a tad on the powdery side) and there are definitely some unique colors in here. 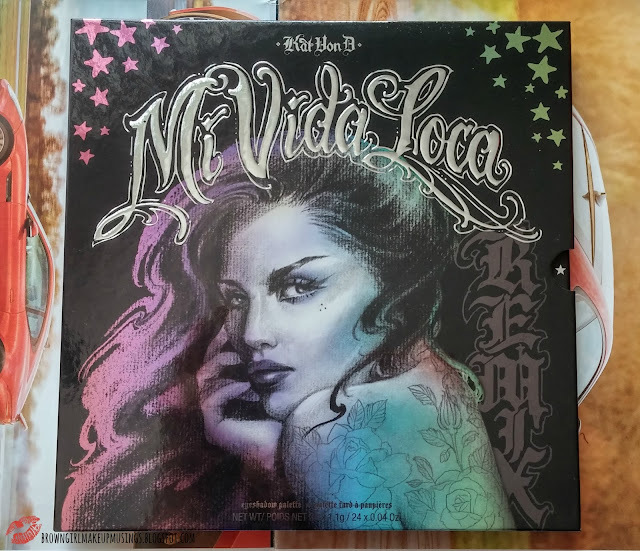 Personally, I'm happy that I have this - I've really had fun creating looks with the shadows and for the most part I find them to be quite wearable! Now that palette seems to hold every color there is and really looks very artistic. Not for me, as I tend to hoard different single shadows instead of palettes, but if you wanted to have just one, I think that would be the palette to go for. Damn, I want this now. You look gaawwgeous! 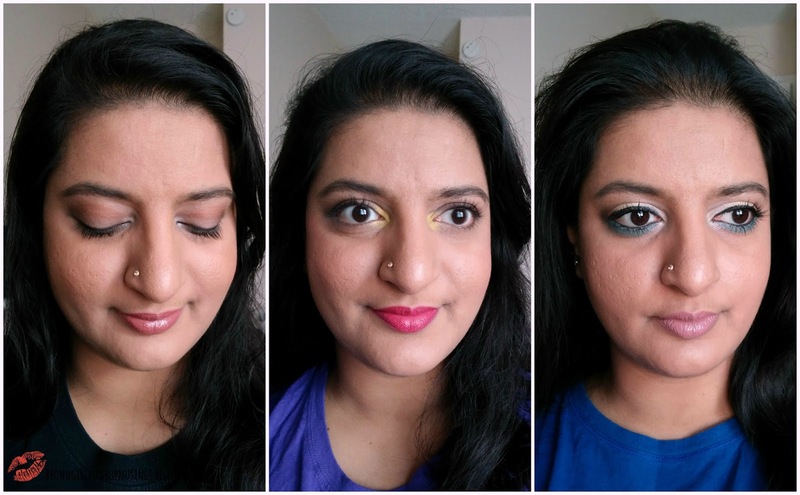 For being matte, colorful shadows these perform surprisingly well! I really want this, mostly for Hyperballad. I don't need it, it's huge and I'd depot it probably...I'm so conflicted. If you like the KVD formula, you'll like these shadows. A lot of holiday sets tend to have quality issues (compared to the brand's permanent stuff) but this palette doesn't have that problem.